Qualcomm's answer for the A12 Bionic SoC from Apple allegedly got tested on Geekbench, and it looks like the Android side is still slower overall. However, the Snapdragon 8150 is clearly faster than the Snapdragon 845 and mostly on par with the Kirin 980 from Huawei. Everyone is now waiting for Samsung's Exynos 9820 to bring it home for team Android once again. We have already seen how the new Apple A12 Bionic SoC shipped with the iPhone XS and the new iPad Pro tablets performs in Geekbench, practically obliterating any competition on the Android side, but rivals like Samsung and Qualcomm are not just standing there taking the blows. Samsung is preparing the Exynos 9820 SoC that will power the Galaxy S10 and Galaxy X models, while Qualcomm is almost ready to reveal the Snapdragon 8150, as an early production sample was recently spotted in Geekbench. 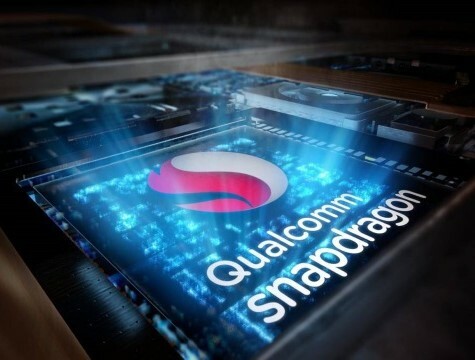 From previous leaks, the 7 nm Qualcomm Snapdragonn 8150 is believed to pack a new CPU cluster made of 4 Kryo Silver CPUs for light tasks, 2 Kryo Gold cores for heavy loads and 2 Kryo Gold Plus cores for burst performance. The sample tested in Geekbench is running at 1.78 GHz and is coupled with only 6 GB of RAM, plus the device is running Android 9. Unfortunately the scores are still below the A12 Bionic featured in the iPhone XS models, as the Snapdragon 8150 sample managed to score 3,181 points in single-core mode (vs 4,796 points scored by the A12) and 10,084 points in multi-core mode (versus 11,229 pints scored by the A12). Still, the performance gains over the Snapdragon 845 are noticeable and are comparable to Huawei’s Kirin 980 SoC. Earlier this year, an alleged Exynos 9820 was spotted in Geekbench and it looked like it could really prove a match for the A12 Bionic. The single-core score was 700 points lower, but the multi-core score was over 1,000 points higher. And this was only an early sample. It would be interesting to see a more recent iteration of the Exynos 9820 at work.